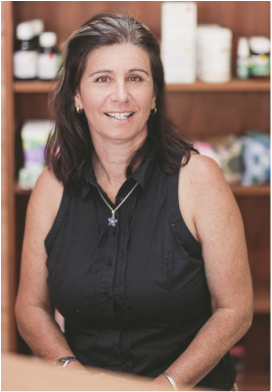 ​​Judith Danks is a Naturopath and Medical Herbalist who brings over 12 years of clinical experience as a Naturopath and Medical Herbalist in Waikato. Specialising in Woman’s health issues and also offering a wide variety of other health treatments, Judith provides holistic healing in a warm and welcoming environment. ​​Judith Danks works as a sole practitioner who provides Naturopathic and Herbalist services to those who have health issues and who require a treatment that looks at them as a whole. She treats holistically by taking into consideration the chemical, physical, emotional and spiritual aspects of a person. Using only chemical free remedies and useful dietary and nutrient advice, she works with the body to achieve optimal health. Alongside the herbal formulas and dietary and nutrient advice Judith uses Therapeutic and Neuromuscular massage, Lymphatic Drainage and Reflexology to assist patients with their health issues. Judith is passionate about supporting people achieve their health goals and attaining happiness. Why should You See a Naturopath or Medical Herbalist? ﻿Through seeing a Naturopath/Herbalist, you can benefit from a supportive means of dealing with some of the deeper seated health issues you face. We are more suited to treat chronic conditions such as hormonal imbalances, digestive, dietary and nutritional issues, or emotional imbalances such as anxiety, fatigue and insomnia, sinus and allergies; the list is truly endless. Judith also works with other practitioners such as Osteopaths, Massage Therapists, Counselors and Life Coaches, which further provides you with a truly collaborative and rich source of therapeutic health benefits. ​​Judith and her team provide a thorough and well-rounded list of holistic services, from diagnosis to treatment, support and step-by-step processes, you can achieve better health whether that be emotional, physical, chemical or spiritual when you choose to work with her.